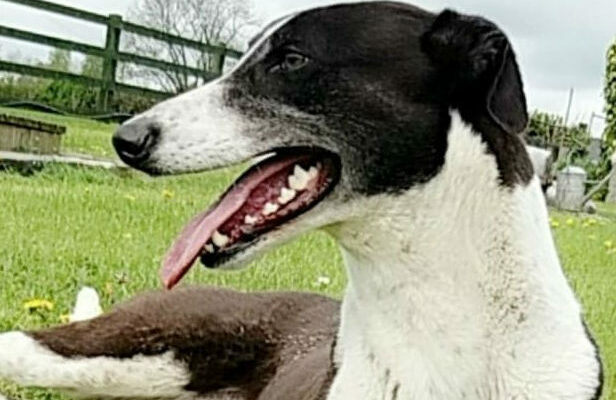 MISSING FEMALE B&W GREYHOUND “LASS” FROM CUFFESGRANGE AREA SINCE 6TH NOVEMBER LAST. MISSING FEMALE B&W GREYHOUND “LASS” FROM CUFFESGRANGE AREA SINCE 6TH NOVEMBER LAST. “Lass”female greyhound missing from the Cuffesgrange area since the 6th of November last.Tattoo Number PXQIK. Please share. Any information please message or phone Kilkenny SPCA @ 056-7771635.Ref:45161.